After rising 0.4 percent in February, wholesale prices remained flat in March, slowing the consistent auction price spikes seen in 2013. The ADESA Canada Used Vehicle Price Index, powered by ALG, was flat after being adjusted for seasonality, and wholesale prices were unchanged month-over-month. The segments that did see price movement were a mixed bag. Compact SUVs saw prices rise the most, increasing by 4.2 percent or $545. The segment was followed by midsize cars with a 3.8 percent or $387 increase and minivans with a 0.9 percent or $95 spike. On the other hand, mid compact cars saw the biggest drop last month, declining by 3.3 percent or $310. And as weather warmed, consumers are turning interest away from winter-weather vehicles, as midsize SUVs saw prices drip by 1.3 percent or $175, and full-size pickup prices fell by 1.2 percent or $238. Dealers can only hope this flattening of wholesale price movement is a sign of what’s to come for the rest of 2014. According to ALG Canada’s latest industry report released in late February, used-vehicle prices have risen steadily by 3.5 percent on an annual basis since mid-2009. But this year, used-vehicle prices are expected to decline in the range of 4 percent to 5 percent, according to ALG Canada. The company broke down the trends by vehicle age, as well, since not all used vehicles are expected to experience the average drop this year. Prices will be strongest among 3- to 4-year-old vehicles, according to the report, which said these vehicles will be in short supply for another two years. 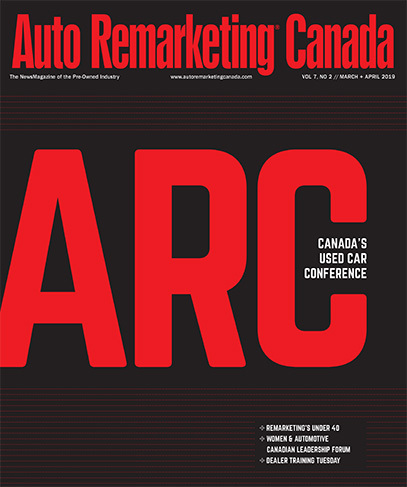 On the other hand, there will be an above-average supply of 5- to 7-year-old vehicles available over the same period, placing downward pressure on prices for this vehicle-age group, reports ALG Canada regional director Geoff Helby. As for the younger units, due to fleet sales gaining momentum, ALG Canada predicts the supply of 1- to 2-year-old models will expand to above average levels this year, which will play a part in making these rides more affordable, as well. Lastly, Helby pointed out that new-vehicle incentives remain at record-high levels and will “dramatically reduce” price gains for 1-year-old vehicles.